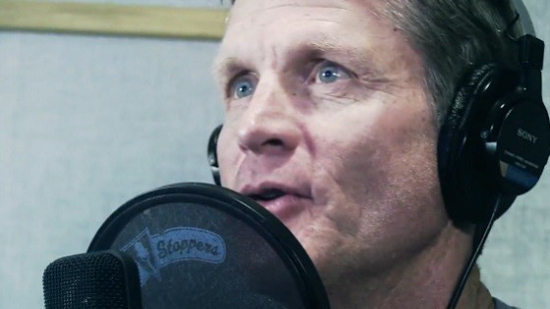 Who Would You Want To Replace Steve Kerr on the NBA 2K Commentary Team? That Steve Kerr is going to be strongly considered for head coach of the New York Knicks is beyond just rumor at this point. Should he take a coaching position there or somewhere else he’ll obviously be out as an announcer in the NBA 2K series which he has been a part of since 2K12. That change could be happening right now or more likely to be a year away but the switch would be inevitable. He would not be available to do additional voiceover work and it would be really awkward to have him calling a game where he’s also on the sideline coaching. When Kerr was with NBA Live (06-10) he accepted a position as president and GM of the Phoenix Suns. EA Sports rode that out for three more years before shifting to an ESPN package however being in the front office is far different than taking a coaching position. Mark Jackson was part of the NBA Elite 11 trio but removed from what would have been NBA Live 13 when he became head coach of the Warriors. Commentary is one area that 2K Sports has excelled at so any shift won’t prompt concern but it’s interesting to examine who could replace him. The top candidates to replace Kerr would be TNT’s Chris Webber and Reggie Miller. I’ve been publicly calling for Webber to be included in a video game for over two years now. He has the voice and demeanor for it and certainly is regarded much more highly than Miller in the analyst spot. There’s also Mike Fratello, Greg Anthony, and any number of local color commentators the company could choose to turn to. Vote in the poll below and leave your thoughts in the comments. Who would you want as the color analyst in future NBA 2K games? [Update 5/14] Kerr has accepted the head coaching position with the Golden State Warriors. Who Should Replace Steve Kerr Should He Leave?